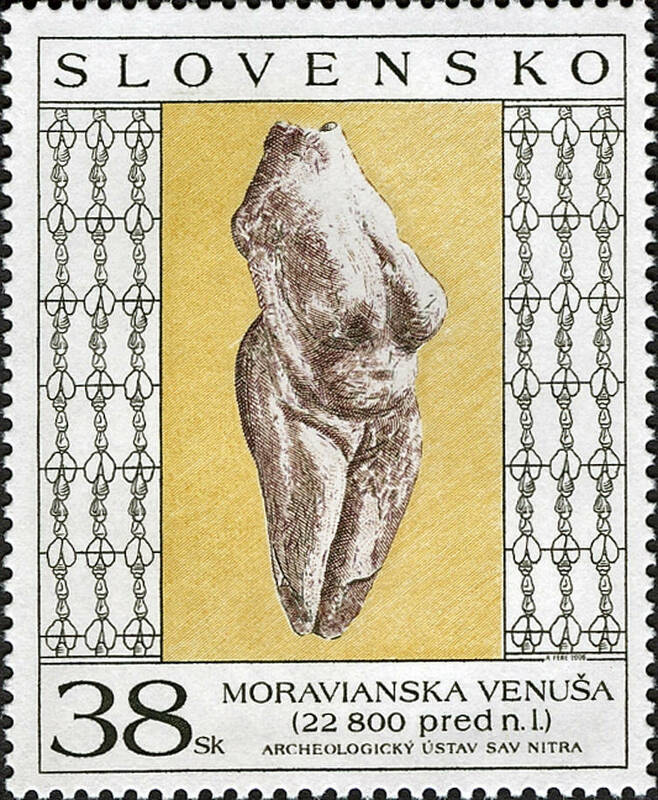 The Moravany venus is 7.6 centimetres tall. 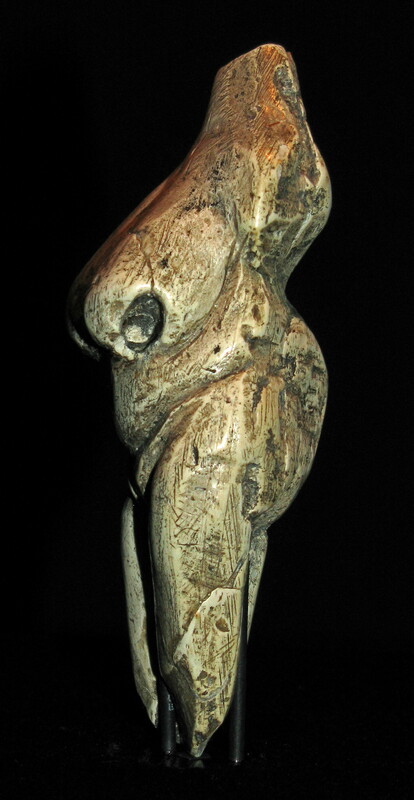 The venus was discovered in the area of Moravany nad Váhom, a village near the spa resort Piestany in Slovakia. It is officially dated 22 800 B.P. and belongs to the shouldered points horizon (Willendorf-Kostenkian or upper gravettian). 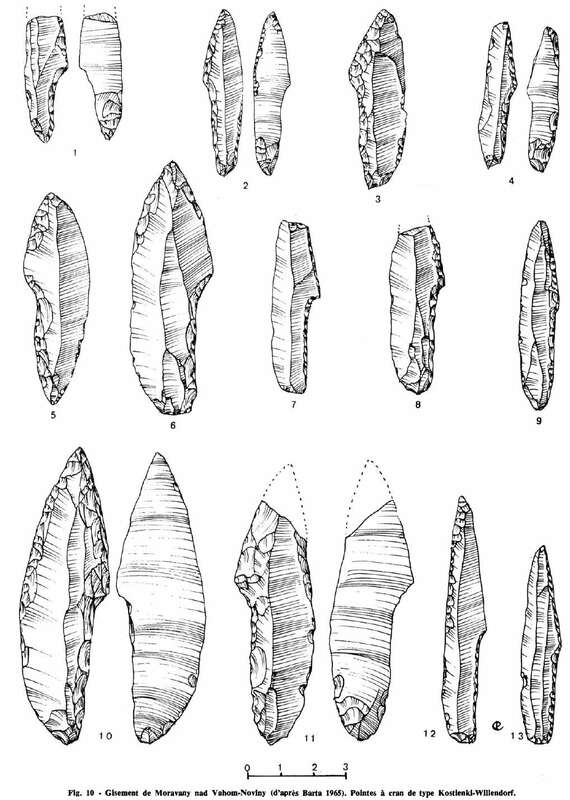 All of the gravettian sites in the Moravany nad Váhom complex belong to Willendorf-Kostenkian. It was ploughed up in a field sometime in 1938. Later it appeared in Paris. The sculpture was finally returned to Slovakia due to the work of Zotz and Freund, and Dr J Bárta. 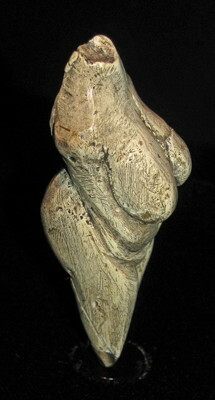 Given that the faces of Venus figures are often depicted in a minimalist fashion or obscured in some way, it is possible that the sculpture was created without a head. Source: Display at Vienna Natural History Museum. Although it was on loan from the Slovak Academy of Sciences, it is almost certainly a high quality facsimile, since Ondrej Žaár reliably informs me that the original is kept in the National Bank in Slovak Republic. In addition, as he says, "Back in the 80's there were a lot of cast copies made for public display and for sale, and they have slightly different colors. It seems a little bit too dark to me with highlighted scraped lines on it, just like one of the cast series." 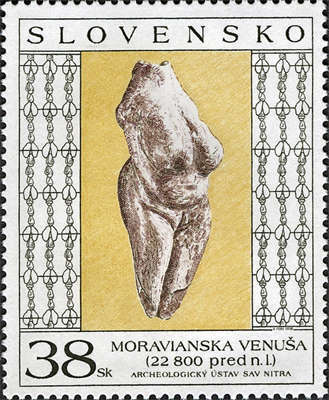 Another version of the Moravany Venus, which appears markedly different to that in the Vienna Natural History Museum. 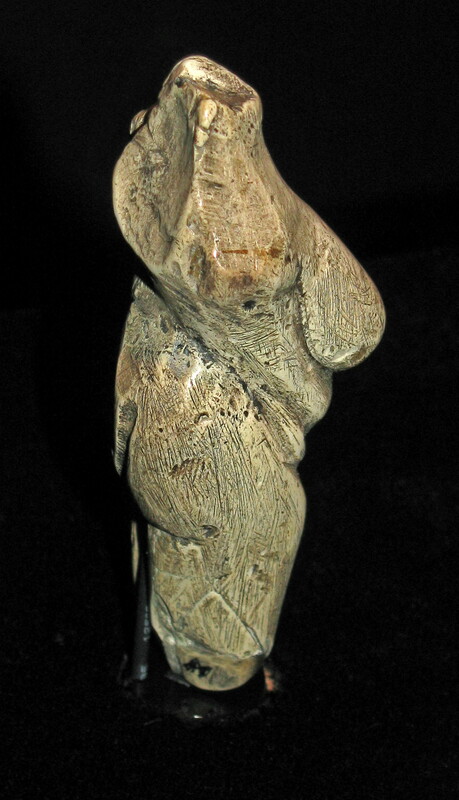 It appears polished, whereas the original had many abrasions from the tools used to carve the figure. In addition, the right breast seems to have been rounded out, whereas the original had had the side of that breast flattened somewhat, presumably because of delamination of the ivory used. This image shows that it had been left with many scratches from the modelling tools used, it was not smoothed off to a lustrous finish. It may be that the venus never had a head. 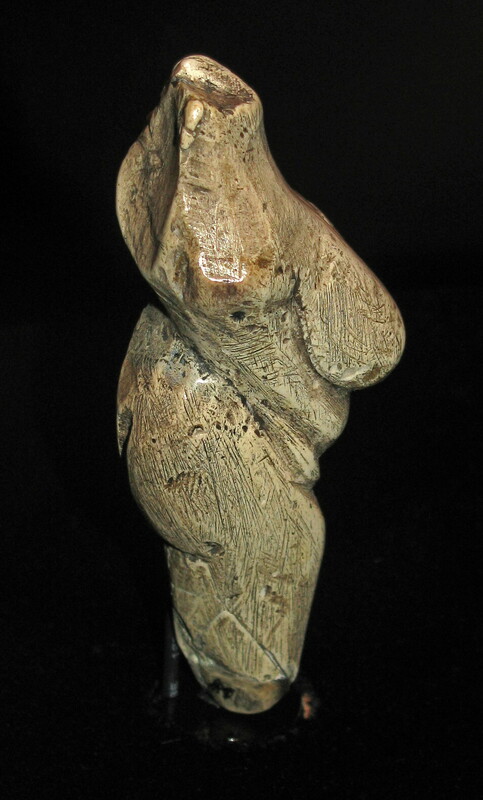 It appears likely that there were never any feet shown, which is normal for venus figures. It can be seen here that the arms are not seen to be important. The left arm is missing, perhaps broken off, but the right arm is barely indicated, and is nothing like life size. 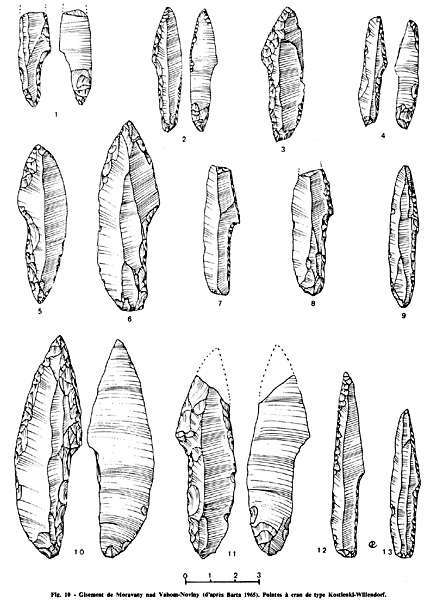 In Slovakia, the site of Moravany nad Vahom-noviny (Barta, 1965) has points of the Kostienki notch type. 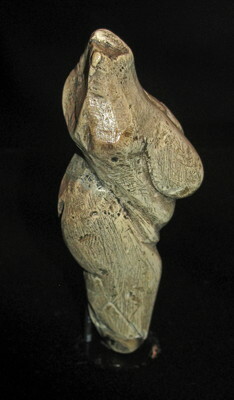 Shouldered point ('Willendorf-Kostenki culture'; 25 000 - 21 000 BP) from the Moravany nad Váhom area. In Middle Europe several sites of this technocomplex are known from Slovakia, Moravia and Poland. 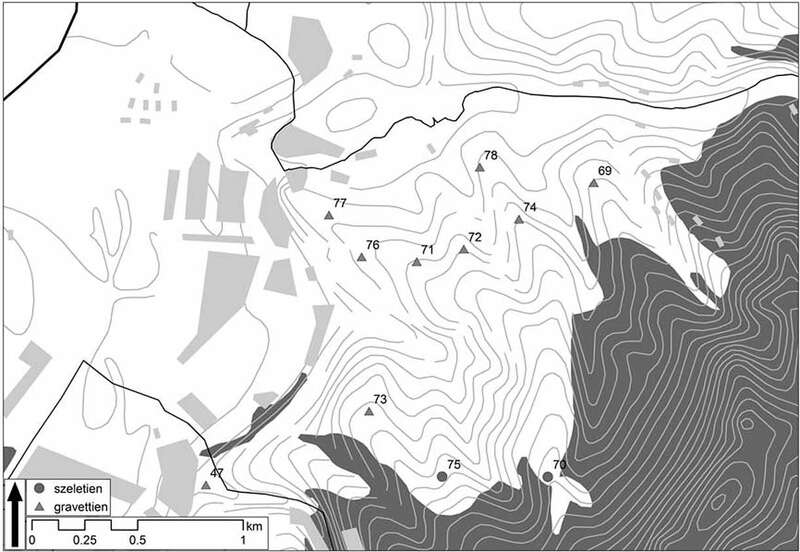 Map of Moravany archaeological sites. Obr. 20. Poloha lokalít. 69-78 - Moravany nad Váhom. Typical ages for these sites are, for example, in the case of site 78, 24 230 ± 150 BP, Gravettian. Lothar Zotz, pictured here, a German archaeologist, in a letter dated 15 October 1958 announced that during World War II was obtained from Moravany nad Váhom, a statue of a Venus carved from fossil mammoth tusk, unearthed by an unknown farmer during ploughing in 1937/1938. In order to determine its authenticity, it had been sent to Paris, to the world-famous scientist Abbé Breuil. 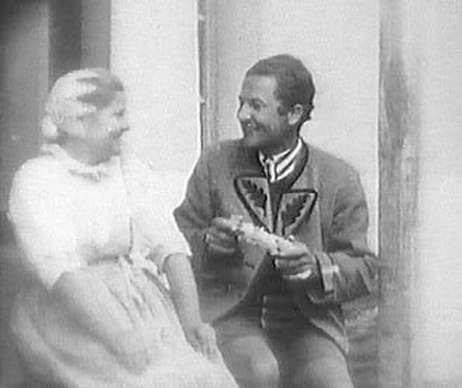 The Slovak government asked for the return of all such items, but the Germans rejected all such requests. After the war in Moravany a museum was built, and efforts were continued to get Slovak treasures back where they belonged. The treasure was determined to be indeed a Paleolithic statue, but just before the expected return of the Moravian Venus, Professor Zotz died suddenly. His assistant and collaborator Gisela Freund, however, undertook to fulfill the promise Zotz and she had made to the Archaeological Institute of the Slovak Academy of Sciences in Nitra and the Moravian Venus to return the venus and to write a paper about the find, which was later published in the journal Slovak archeology. In 1967 the original was permanently returned to Slovakia. 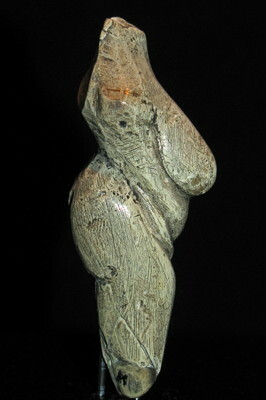 Drößler R., 1980: Kunst der Eiszeit. Von Spanien bis Siberien., Koehler u. Amelang, Leipzig. Onoratini, G., 1978: Un nouveau type de pointe à cran Bulletin de la Société préhistorique française, 1978, tome 75, N. 11-12. pp. 522-542.